On July 1, 2016 the HSF created the Hudson Shea & Stella Faith Research Fund (HSSF) to support pregnancy and infant loss and prematurity research at the Child Health Institute of New Jersey (CHINJ) at the Rutgers Robert Wood Johnson Medical School (RWJMS) in New Brunswick, New Jersey. The CHINJ is a comprehensive biomedical research center dedicated to improving children's health through the study of the causes of pediatric diseases and the development of innovative treatments and procedures. The HSSF Fund for pregnancy and infant loss and prematurity research will provide essential funding support for multiple research programs relating to pregnancy loss, neonatal death and the complications of premature birth. Primary target areas include neurological development and brain function in preterm babies, perinatal complications including stress pathways into preterm birth and anxiety effects on the fetus, placenta disease prevention and diagnosis and fundamental issues in placenta development, neonatology and inflammatory disease, environmental exposure to babies in the neonatal intensive care unit, immune response in babies born prematurely and prevention of preterm births. The Child Health Institute is thrilled to be partnering with the Hudson Shea Foundation to understand the fundamental causes of pre-term labor and life-threatening neonatal disorders with the hope of finding new cures and preventions. In collaboration with researchers and clinicians in the Maternal-Fetal Medicine Program of the RWJMS Department of Obstetrics, Gynecology and Reproductive Sciences, CHINJ scientists are studying normal and aberrant placental function associated with altered embryonic development, premature delivery and post-natal disorders. In collaboration with neonatologists from the RWJMS Department of Pediatrics, they study immune and inflammatory cells, neural development, and function of stem cells associated with diseases of prematurity and with the later onset of adult disease. These exciting, collaborative studies are providing new insights into some of the most common and devastating problems that affect newborn babies and their families. To learn more about the research being performed at the Rutgers Robert Wood Johnson Medical School Child Health Institute, please visit http://rwjms.rutgers.edu/chinj/. Your support helps our scientists in the ongoing mission to prevent, treat, and cure childhood diseases. ﻿Arnold B. Rabson is Professor of Pediatrics, Pharmacology and Pathology and Laboratory Medicine. After completing his M.D. at Brown University, Dr. Rabson moved to Harvard Medical School, where he pursued residency training in anatomic pathology at the Brigham and Women's Hospital, including pediatric pathology at Boston Children's Hospital.​ Dr. Rabson was appointed Interim Director of the CHINJ and permanent Director in 2009. Under his direction, the CHINJ has established a vibrant research program and recruited outstanding scientists focused in four major research areas of inflammation, immune infectious diseases of childhood; neurodevelopment and autism; pediatric cancers and stem cells; and childhood obesity and metabolism. 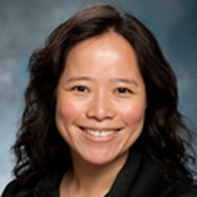 Dr. Chi-Wei Lu, Assistant Professor of Obstetrics, Gynecology and Reproductive Sciences at The Robert Wood Johnson Medical School, has developed an experimental system to study the function of human placental cells using a personalized approach that converts cells derived from the blood or skin into cells representative of different stages of placental development. This cutting edge approach allows Dr. Lu and her team to test whether placental cells derive from a specific patient exhibit altered responses to stress. In particular​, Dr. Lu is interested in the response of placental cells to infection and inflammation. These studies may help to define why certain pregnancies exhibit a more dramatic inflammatory response to infections or toxin exposure that may trigger premature delivery. ﻿Dr. Todd Rosen, Director of Maternal-Fetal Medicine, and his team at Robert Wood Johnson Medical School of Rutgers University, aim to elucidate the mechanisms that drive the clock that determines the length of normal labor. Dr. Rosen takes a systematic approach to the clinical problem, studying placentas obtained after women deliver and exposing them to a variety of conditions to understand the regulation of genes and proteins which have been identified to play a role in the timing of the onset of labor. Dr. Rosen and his team have identified key mechanisms that regulates how the placenta controls the length of pregnancies recently published in the prestigious peer-reviewed scientific journal. Ultimately, Dr. Rosen hopes that research breakthroughs in understanding the placenta will reduce the number of children who have disabilities or die as a result of premature delivery.